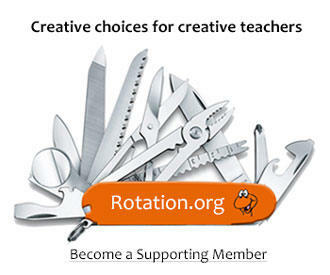 Catch up on the latest new ideas, lessons, resources, and site features. Did you miss seeing this in your Inbox? Check your profile to make sure we have your current email address. If you missed it, check your spam folder for our Enews email. It comes from alerts@hoop.la. Add alerts@hoop.la to your email program's contact list to keep our email out of your spam folder. Great Last Supper, Foot Washing video. 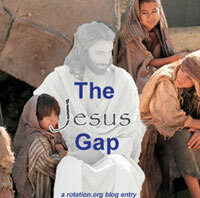 Famous Holy Week Rocks lesson idea, demonstration, children's sermon. An Easter "Upside Down" Children's Sermon or demonstration lesson. Creative and funny kids video about the Parable of the Unforgiving Servant. Calling All Disciples! Neat art project. Call of Disciples Music and Movement Lesson using Chris Tomlin's "I Will Follow"
An all-new, creative lesson set tackling these two stories together. "Paste in My Hair" is the new Children's Ministry Blogat Rotation.org. No "church blah blah blah." No product advertisements masquerading as articles. Shaking the Dust or Sticking it Out? When is it time for CE staff to leave or retire? Like and Follow our Facebook page to get weekly announcements of great new ideas in your Facebook newsfeed. Thank you for being part of this unique and creative ministry to Sunday School. Please join with us and become a Supporting Member.